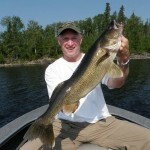 The last week of July was an excellent week for big walleyes with 5 over 29 in. The weather was relatively stable and nice, though we did have several days with almost no wind. 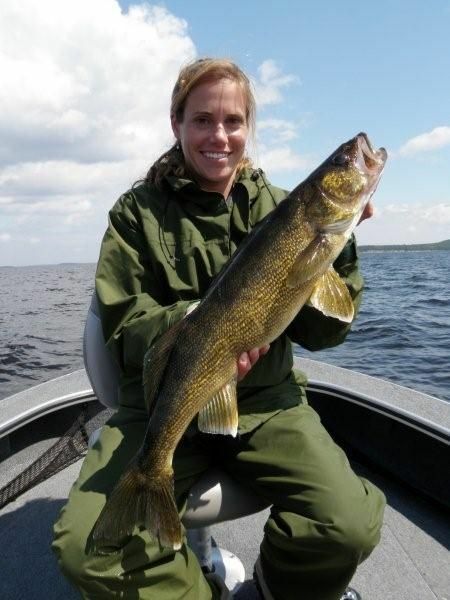 Walleye volume increased dramatically from last week with the onset of more stable conditions. 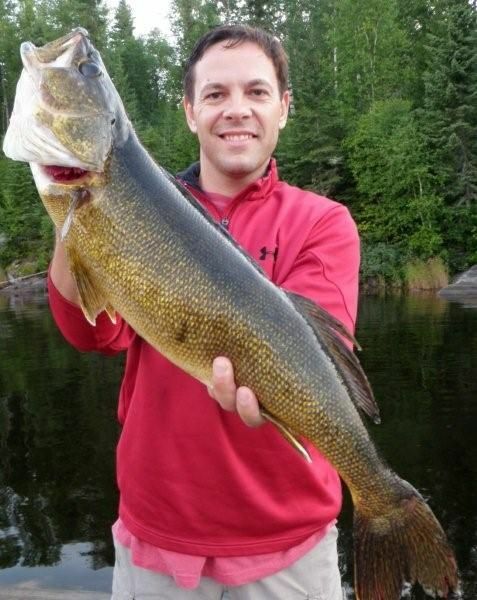 Surprisingly, we are still catching both numbers and big fish from relatively shallow and deep water. Guides are successfully dead sticking 1/8 oz jigs in 30 ft. at one spot and rip jigging plastics in 10 ft. of water on another at the exact same time. The bite is far from consistent and flexibility continues to be the key. 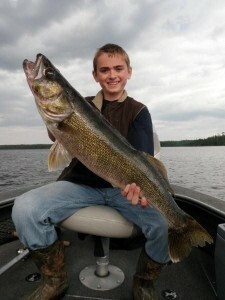 For the week we had 25 walleyes over 27 in. including 2 – 28s, and 5 – 29s. 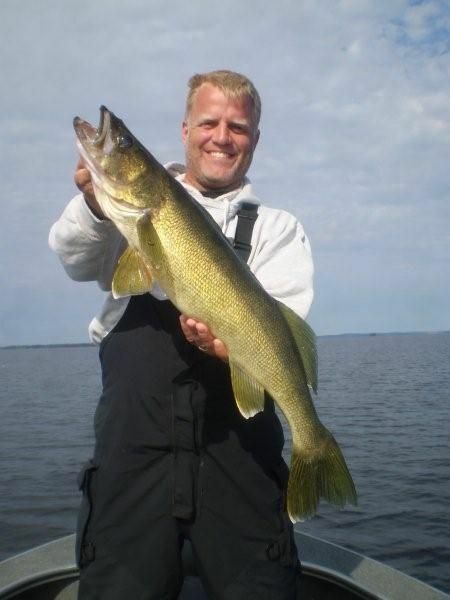 Walleye volume was very good with guide sheets averaging 35 walleyes over 18 in. per day. The highest daily total was 50. 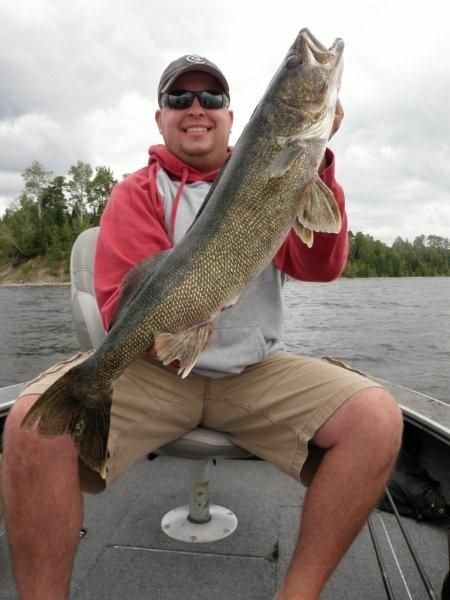 Many of the 27 inch walleyes were caught in 10 – 14 ft., but only one of the 29s was caught from shallow water. 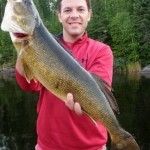 Most of the really big fish were deeper than 25 ft. this week. Deep water sand, deep water rock, shallow water weeds, and shallow water sand all produced well this week at different times. Once again, the key was to consistently check the spots on spots of each different key area and depth and try to duplicate a hot bite with the same conditions in a different area. 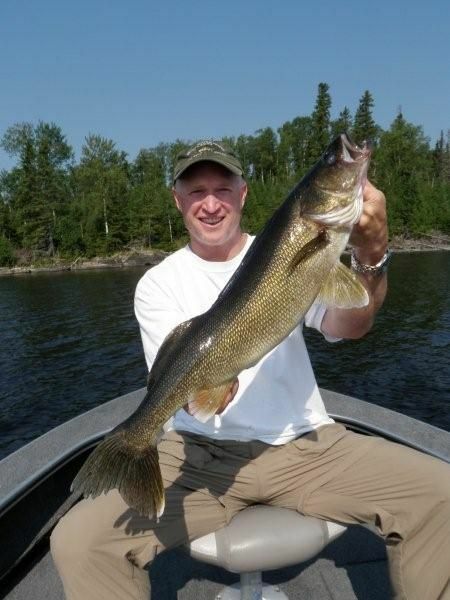 It is a schizophrenic summer walleye bite, but it is a good one. I don’t know whether we are trending deeper or shallower, but until we establish a pattern, we will continue to bounce back and forth between both. 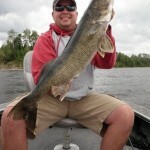 There was some effort put into chasing big pike this week, but aside from a pair of 38’s, it was pretty quiet.